During a long range night time patrol over Northeastern Iraq, a U.S. Air Force E-3 Sentry cruises at 27,900 feet above the desert. The crew are providing overwatch for a truck convoy being escorted by Iraqi ground troops. Three miles up the paved public road from the convoy, the E-3 detects activity on the backside of a hill overlooking the road. Fourteen heat sources with weapons have gathered in preparation to ambush the oncoming troops and convoy. 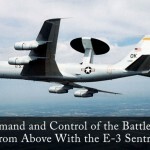 The E-3 crew communicates with a pair of AV-8 Harriers and a strike is on the way. The crew of the Sentry also notifies the Iraqi troops to hold up short of the targeted area. To avoid tipping off the ISIS fighters who might attempt to identify the transmission’s frequency and jam it, the aircraft and ground connect with radios that are near impossible to intercept. These radios use frequency hopping systems enabling them to jump quickly from frequency to frequency before an interceptor device can target a single frequency. These various radios use GPS technology and passwords to coordinate their frequency hopping to ensure continuous communication that cannot be intercepted or jammed. 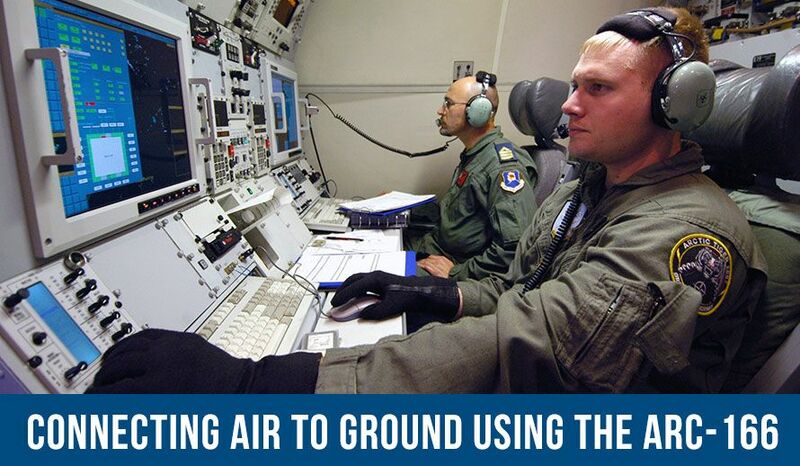 The radio used to communicate between the E-3 and the ground forces is an ARC-204. The AN/ARC-204 (p/n 171105G02 NSN 5821-01-364-3956) is a transmitter/receiver radio that provides secure UHF/AM communications. 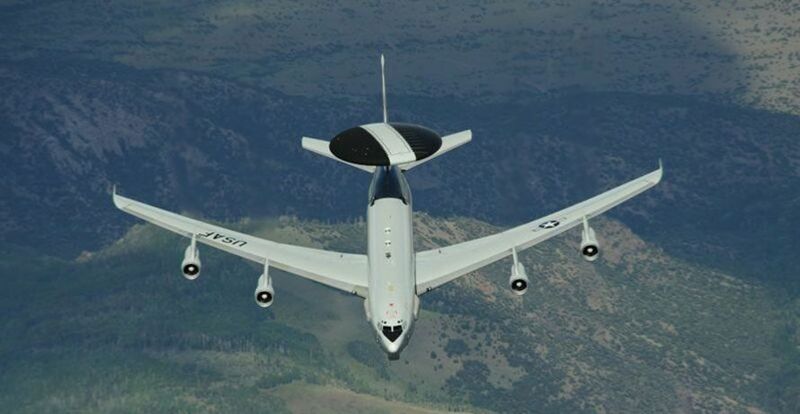 Like the ARC-166, the ARC-204 can be found on the E-3 Sentry, an AWACS aircraft, which is an acronym for Airborne Warning And Control System. The AN/ARC-204 is a “HAVE QUICK II A-NET” transceiver. This communications equipment requires line-of-sight between transmitter and receivers and is used primarily for aircraft, shipboard, satellite and others where line-of-sight can be achieved. Introduced 1980 – HAVE QUICK was developed because in the 1970s it became clear that aircraft communications could be intercepted or jammed easily very inexpensively. Frequency-hopping – is not encryption, but rather increases security by rapidly jumping from frequency to frequency. It uses TOD (Time of Day) and WOD (Word of Day) to coordinate with other friendly frequency-hopping communication systems. 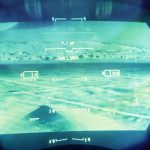 Because of this, it functions properly in active electronic warfare environments, avoiding jamming interference or interception of the signal. TOD, WOD, and NET # – In order to coordinate between HAVE QUICK aircraft and ground radios, they must be encrypted with the correct TOD, WOD, and a NET number. The WOD serves as a key and the TOD coordinates the frequency hopping between devices. The NET number enables multiple networks to use the same WOD and selects the correct modes. Not Encryption – HAVE QUICK is not encryption, but can be used with encryption systems. 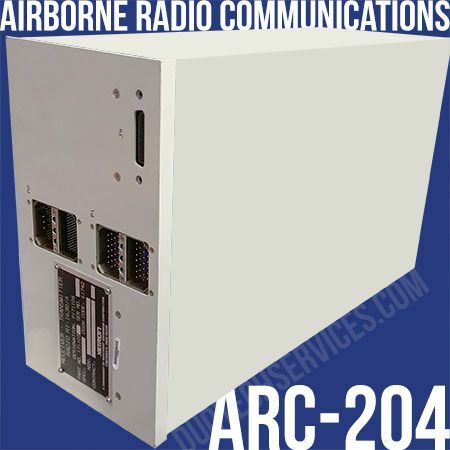 SINCGARS – HAVE QUICK, used to protect military UHF radio traffic, is not compatible with Single Channel Ground and Airborne Radio System (SINCGARS), VHF-FM radios used by ground forces. SINCGARS have their own frequency hopping method. Some newer radios can support both systems. U.S. and NATO – HAVE QUICK was adopted in 2007 to be used in nearly all U.S. Military and NATO aircraft. Communicating with coordinating units is important when running operations to intercept, capture, or disrupt threats to United States borders. You don’t want to tip off the target and miss the opportunity to eliminate any threats. 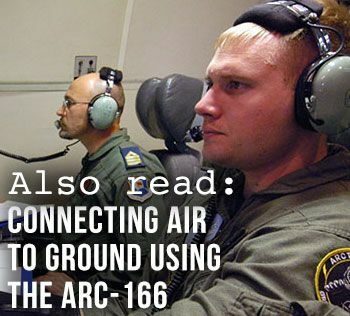 Interacting between air and ground elements with communication radios like the ARC-204 Receiver – Transmitter RT-1638/A shown here, can mean the difference between eliminating a threat, and a team that slips away to try again later. Duotech has extensive test and repair capabilities for the ARC-204 HAVE QUICK radio, and other electronic systems of the P-3, like the APG-66 and APS-137 radar systems. 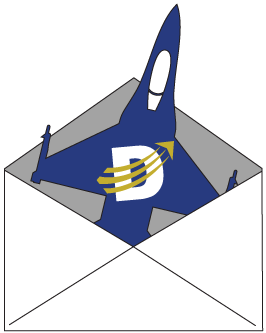 Backed by 34 years of experience, Duotech provides repair services of electronic components for a variety of fixed wing and rotary wing aircraft systems. Duotech maintains an AS9100C registration and is a qualified repair station for thousands of items.